When visiting the Ancient Center of Rome, buying a Roma Pass (30 Euro) saved us at least an hour in line at the Colosseum. The pass includes admission or discounts at many other museums and attractions in Rome as well as free public transport during a three-day span. 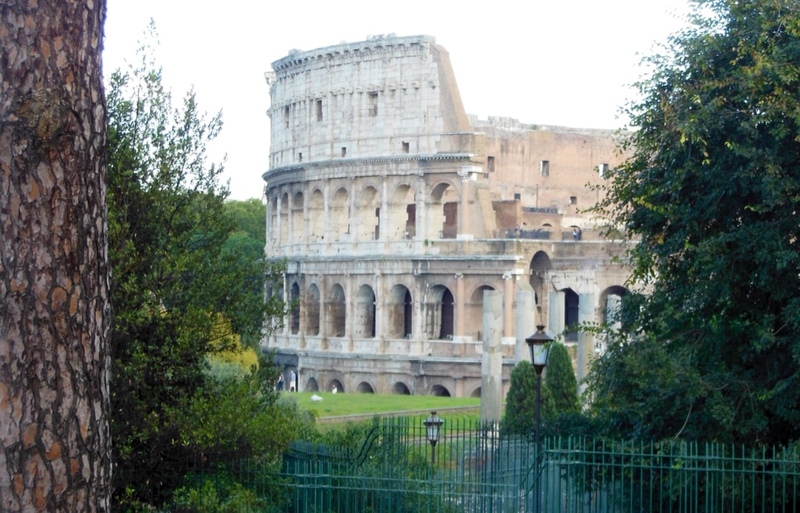 This view of the Colosseum is from the Palentine, an area where emperors and aristocrats lived. Together with the adjoining Roman Forum ruins, these three sites provide a powerful feel for life in the center of ancient Rome. Just three days into our three-week Italy visit, we are feeling comfortable here. I wish I knew more Italian, though.